The Installing Master Was R.W. Duane Anthony. The Installing Marshal was Terry Valmine. 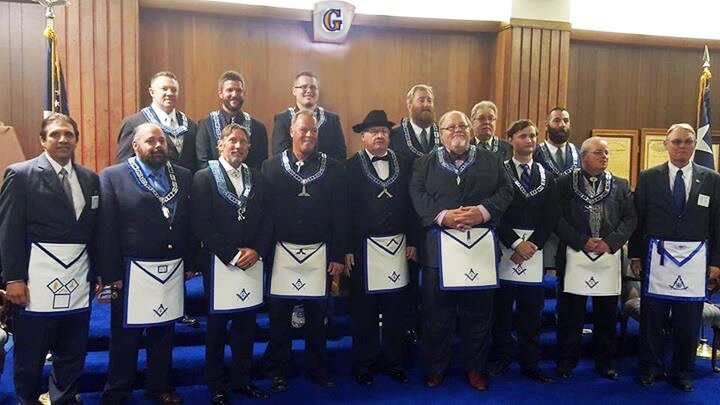 ​DDGM District 31a Al Pool was also in attendance. The Dinner was BBQ Brisket prepared By Magic Mikes BBQ. Alvin OES NO. 15 served the meal to approx 150 people. Cake and Ice Cream Followed the Installation.